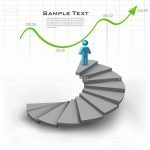 Check out this awesome vector illustration. 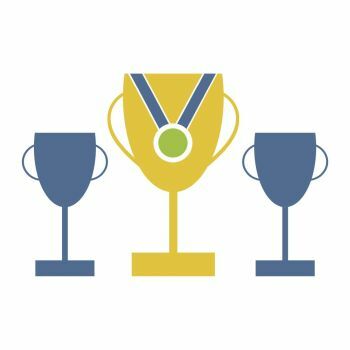 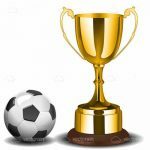 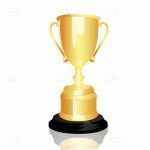 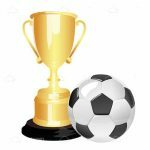 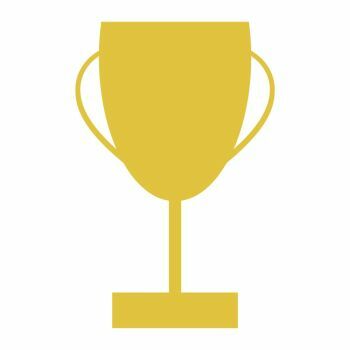 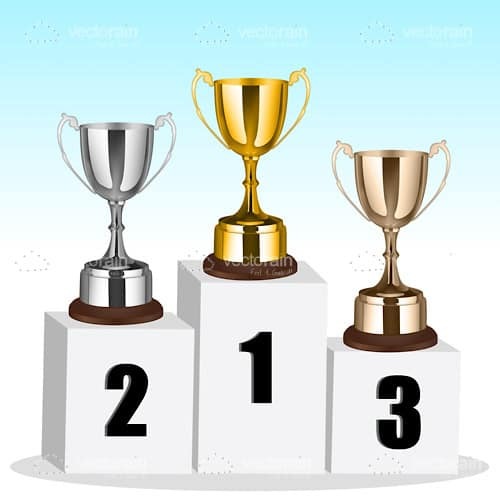 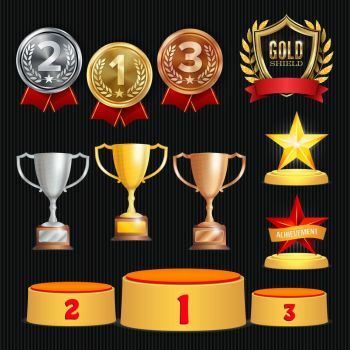 Consisting of 1st, 2nd and 3rd place trophies in their respective gold, silver and bronze colourings, these awesome trophies would look great on so many designs such as websites, flyers, logos and so much more. 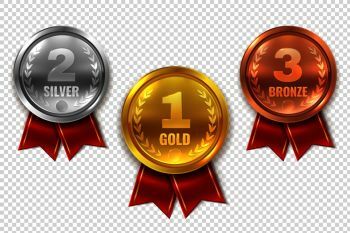 Grab your FREE and EXCLUSIVE vectors here, only on VectorJunky! 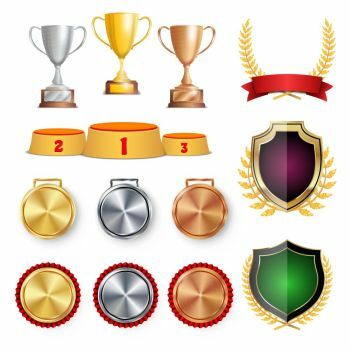 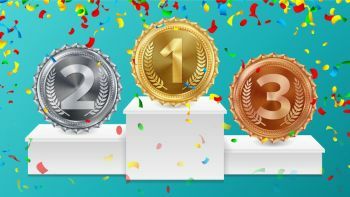 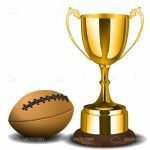 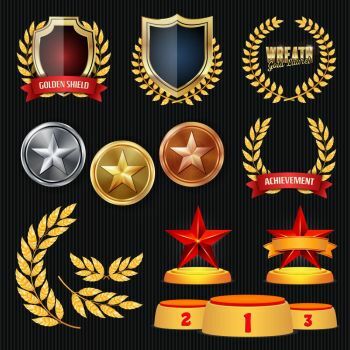 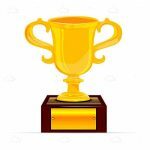 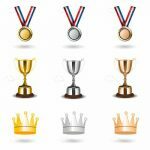 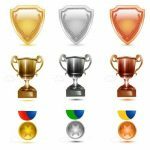 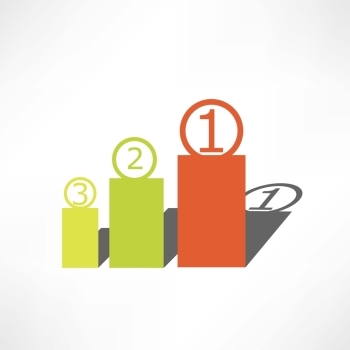 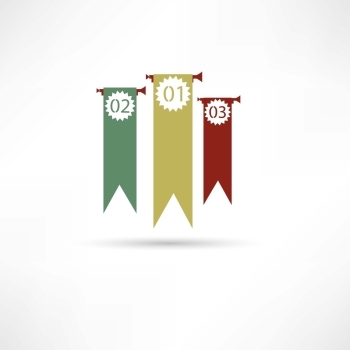 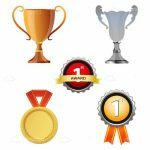 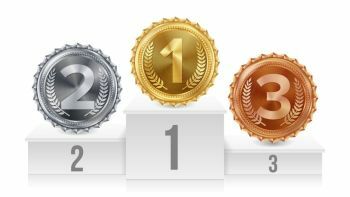 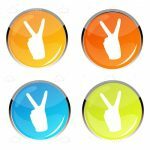 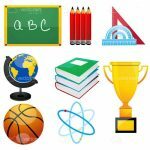 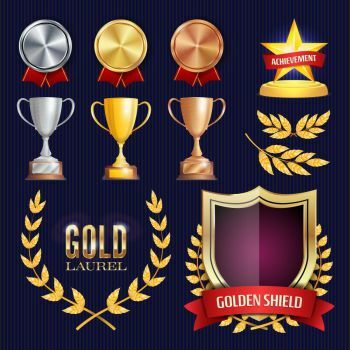 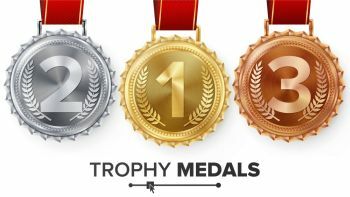 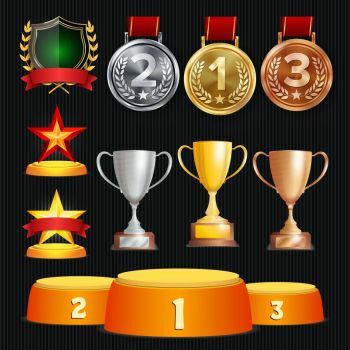 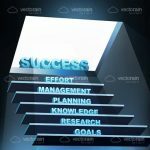 Find 16 more 1st, 2nd and 3rd Place Trophies Premium Vectors for as low as $ 0,04 per download at VectorFresh.